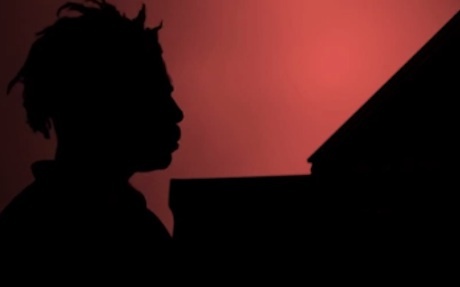 The vinyl version of Sampha's "Too Much" single has faced a bit of a delay at the pressing plant, apparently, but a new BBC Radio 1 session with the nocturnal R&B player found him not only delivering some heart-swelling songs, but approving a test press on-air. The session, recorded at London's Maida Vale Studios, featured low-key performances of tracks "Happens" and "Can't Get Close," while also premiering a stunning new, whirly electric piano ballad called "Courtesy." At the end of the program, a white label test press of "Too Much" is brought out and promptly spun on a record player, once again rolling out the familiar piano taps and honey-sweet serenading of Sampha. It sounded great, so he gave it the thumbs up. The "Too Much"/"Happens" 7-inch was to be delivered January 7 through Young Turks, but will now pop into stores February 3.